​​ Long-term care homes are publicly funded and operated by municipalities, not-for-profit organizations and private organizations. They provide health care and services to people whose needs cannot be met in the community. Long-term care homes are licensed and regulated by the Ministry of Health and Long-Term Care. The province has specific laws and regulations for admission to long-term care homes that are designed to ensure fairness and equity in the system, so that it can serve the needs of people with greater care needs as well as people who are still independent. Learn about the process of advance care planning and find helpful tools at Speak Up Ontario incuding key resources to start your advanced care plan. To access the Advanced Care Planning Ontario Guide, click here. print and fill-out a wallet card with important information in the event of an emergency. What is the process for selecting a home? The long-term care home placement process includes a multi-part assessment, including an assessment by a Care Coordinator, to ensure there is an accurate record of your medical history, and to help determine eligibility for long-term care. Your Care Coordinator will discuss all options, including providing options for long- term care homes. You can apply to as many as five homes. The wait times for long-term care homes vary widely, so decisions about which homes you are applying to will help determine the amount of time you will wait for long-term care. Once a spot in a chosen long-term care home becomes available, you will be contacted by your Care Coordinator, and you will have 24 hours to consent to the admission. If you move to a home that is not your first choice, you may stay on the waiting list for your other choices, if you wish. Although the Ministry of Health and Long-Term Care pays for the care you receive, you are responsible for accommodation costs, which are standard across Ontario. Rates are typically reviewed annually by the Ministry of Health and Long-Term Care and are subject to change. As of July 1, 2018, the following accomodation charges apply, and please note that rates vary based on a resident's date of admission to a long-term care home bed. If you do not have enough annual income to pay for the basic room, the government can help you through a subsidy that will bring the cost down to a level you can afford. The subsidy is not available to people requesting semi-private or private rooms. Your Care Coordinator can provide you with information about applying for a rate reduction subsidy. If you are eligible for placement in a long-term care home, you will not be refused because of an inability to pay. 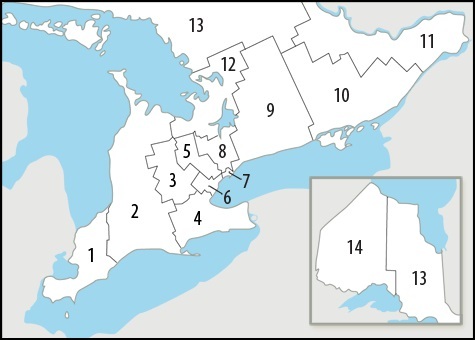 Search for long-term care homes throughout Ontario, and gain addition information here.